- Apple pancakes: Diced apples in pancakes are wonderful, and since they are a moisture source, it’s near impossible to make dry apple pancakes. Add a cup of chopped or shredded apples to your favorite pancake recipe. - Keep your meatloaf moist: Adding around a 1/2 cup or so of finely diced apples to a classic meatloaf recipe helps keep the meatloaf moist. A trick I learned from my mother. 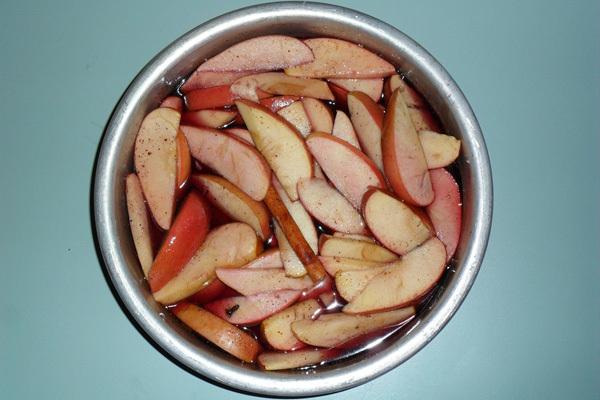 - Apples as a cup: It sounds crazy, but it’s really a fun idea for fall gatherings. Here’s how to do it. Once you get the cups made, fill them with apple cider or an apple-flavored cocktail. - Ripen other fruits and vegetables: The ethylene gas emitted by apples can help avocados, bananas, and tomatoes ripen faster. Just put an apple in a paper bag with the fruit or vegetable you want to ripen. - Make your own cider: This may be surprising to some people, but making your own cider is rather simple. You can even control the sweetness level of your homemade cider based on how many tart apples (granny smith, macintosh) and how many sweet apples (gala, golden delicious) apples you use. - Correct salt errors: This one might be the best of them all. Ever put too much salt in a soup or sauce your making? No worries, just toss a few apple slices into the pot in the last 10-15 minutes of cooking. Then remove the slices…the apples soak up the salt!